After launching a mobile app, you may think that you're done, but you have only come half way through. There are approx. 2000 apps added to play store and more than 1000 in iOS app store, on a daily basis. In today’s time, where the sea of mobile apps is being launched and uploaded daily, it has become difficult for app marketers to stand out. Now you have to make sure that how you can bring your app to spotlight. 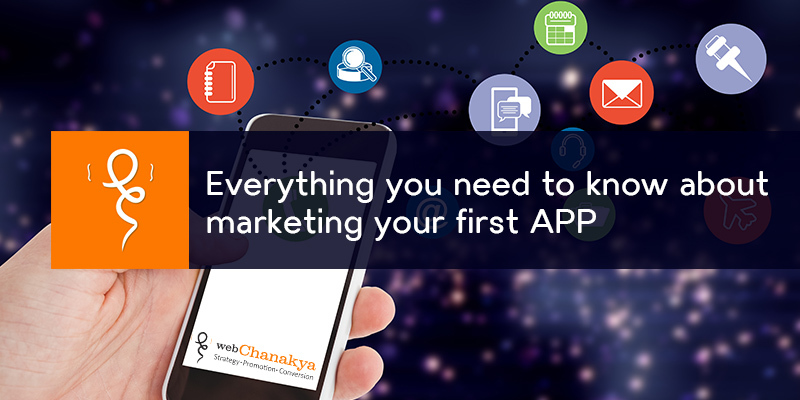 For this, you require an outstanding marketing strategy, which attracts them to use your app. Mobile app marketing can be done through two ways: organic marketing and paid marketing. Organic marketing cites to methods that can be used to earn downloads without paying a penny. On the other hand, paid marketing refers to a method where you have to pay for each download. There are so many ways through which you can organically download, because everyone cannot spend money each time they download. There are ways by which you can get free downloads. You need to first sign up for an app analytics tool to understand how the distribution progress goes. The analytics tool helps to keep a check where you app and your competitors app stands in Top charts and rankings. This also helps to find the appropriate demographic details for your app. Your download percentage instantly increases after your app has been reviewed by app reviewing sites. Make sure that you reach out to media outlets like niche related press, tech news etc to drive a burst of downloads. Keep an eye on blogs and writers who write about your competitors and other apps within your niche. Pitch those writers and guest bloggers regarding your app and make them understand what you want from them. Word of mouth on social media sometimes does good to make your mobile app reach out to new people who can then turn into your evident users. Advertise the app on the social media, describing the benefits and reviews. Engage your user to share the app and the content within your app. Share the app description and link through various channels that are SMS, Facebook, twitter and others. When your app ranks high on charts, it all depends on the rating and reviews that are given to your app. There are many ways to encourage your users to rate your app. The simplest way is to engage the users for rating the app. You can simply do this when they have used the app a few times. Mobile is a great platform but web still counts. Every time a visitor search about your mobile app, he looks out for your homepage and the details on the app stores. So to turn the visitors into your users, you need to make an amazing web landing page. Always keep in mind that your app’s detail page in the app store is very limited. But your web page should be the exact opposite that is, it should be enjoyable and engaging. Organic promotion may be the option that you would prefer, but you also need to consider paid marketing if you want your app to be on the top of your charts. There are many ways by which you can leverage money to get more downloads. Mobile App Tracking tool helps app marketers to know how many downloads come from each paid ad source. It is one of the most authentic way to make sure that you are spending money in the right place. Every niche requires a different number of downloads to feature into the Top Charts. Your task is to calculate the number of downloads you will require to get into the top of the charts. To estimate your targeted download number, you need to keep an eye on how many downloads, ratings and reviews the apps in your category’s Top Charts have. Running a burst paid ad campaign may help you to rise quickly in the charts with the rapid increase in the downloads. As soon as your campaign begins, you can see an increase in the number of downloads and user of your app. With the incoming reviews, the app will be shared by users with their friends. Due to the increase in downloads, you will now begin to rank higher in the app stores’ Top Charts. Once you reach the higher ranks, you’ll be able to decrease your ad spend while your mobile app continues to rank highly on its own. So you can say that building an app is hard, but marketing an app is even harder. It requires various methods that are correlated and consistent. 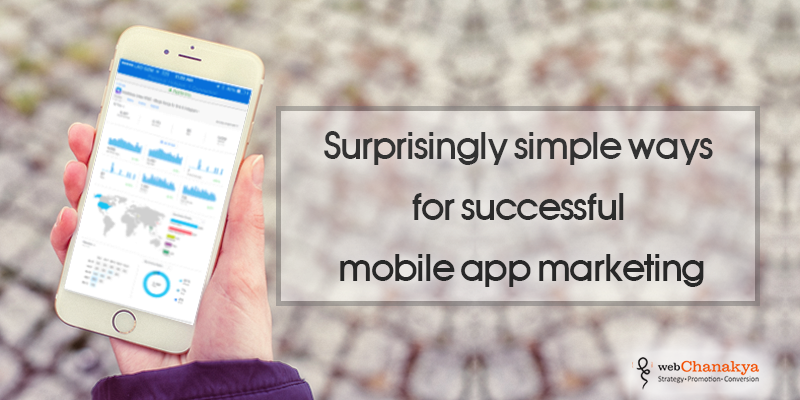 Every single step contributes to a successfully marketed app. You need to consistently promote the app through many channels and platforms. If you follow these simple steps then it’ll become easy to stand out in the ocean of apps.